As women, we’ve all been there. We have a special occasion to go to or a date coming up or just fancy a change in our look but have no idea who to call or where to get it sorted. So off we go contacting all of our friends, asking work colleagues and even that stranger on the bus where she got her hair or nails done. Even worse? When we’re in a new city and have no clue where to start. Wouldn’t it be awesome if we just had a directory of some sorts that can tell us what beauty services are available in our area? Co-founder and CEO Mathebe Molise’s idea for Beauty on TApp came to her when she struggled to find a make up artist for her friend’s wedding in Cape Town. Being unfamiliar with beauty service providers in Cape Town, Mathebe thought how convenient it would be to have a tool that one could use where they select a beauty service they needed and a list of potential providers would pop up. Add to that a list of rated beauty service providers with a proven track record that guarantees good service. This is how Beauty on TApp was born. Launched in September 2015, the app gives users the ability to find beauty services and products in an area of their choice. The app contains a number of beauty service and product categories such as make up artists, nails, hair, hair extensions, hair products, skin products accessories and more. The app is also integrated with Uber to make sure you get to your appointment with no hassles. Similar to the trusted word of mouth recommendation, Beauty on TApp works on a rating and feedback system to help the user make a more informed decision. Supplier profiles include price ranges, rating, pictures of the work they’ve done and the various beauty services provided. The app also allows users to open suppliers’ social media profiles on the app to get more info on the suppliers’ business. Fellow naturalistas, the app has a few independent natural hair product manufacturers registered and since it’s a few months old, this list will only grow. 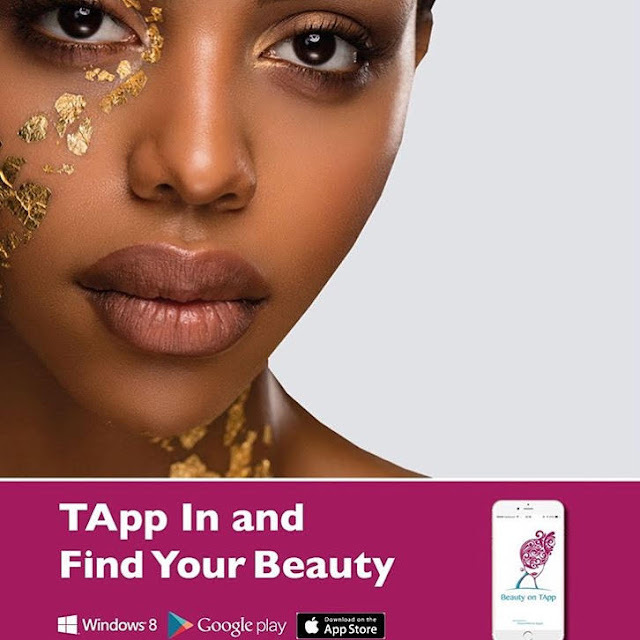 Beauty on TApp is available for Apple and Android users and on Windows App Store. You can also download the app on their website: beautyontapp.co.za.